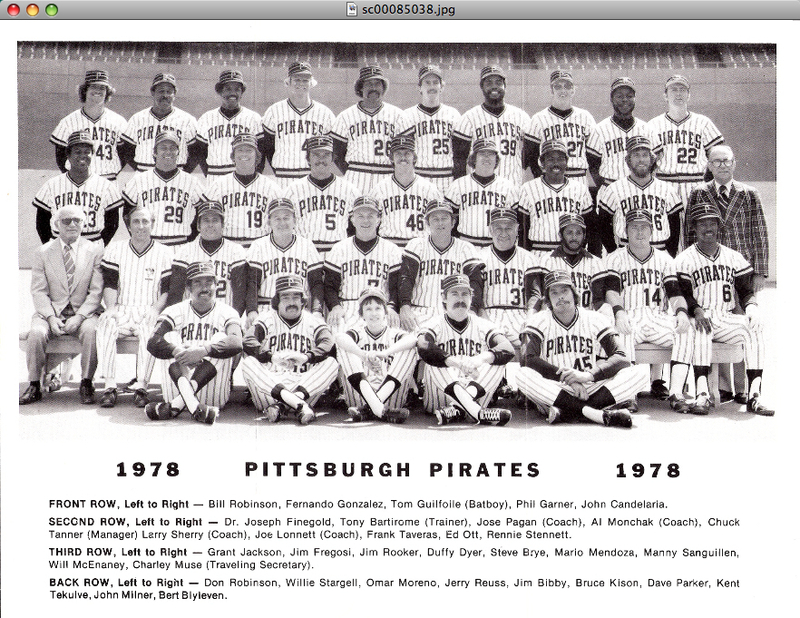 1978 Pittsburgh Pirates Team Photo Duffy Dyer, Jim Fregosi, Duffy Dyer, Manny Sanguillen, Willie Stargell Bert Blyleven were members of this team Vintage Team Photo Size: Approximately 8.5 x 11 inches Composition: Black White Paper Condition: Excellent (there are fold creases on this photo) Comments: Please see the photo for the names of the team members, coaches etc. 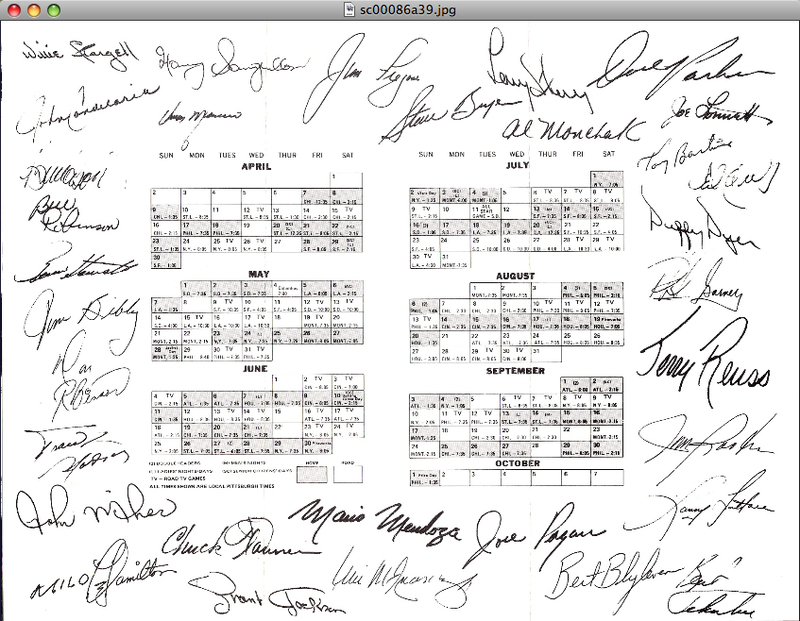 PLEASE NOTE: The actual picture shows clearer than the photo scan. 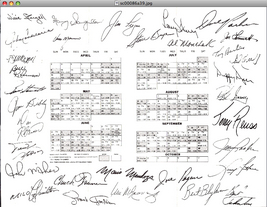 The reverse side of this team photo has facsimilie autographs of the team members. 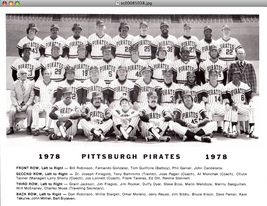 These team photos are the ones originally produced in the year noted; i.e., they are not copies made in a later year. These team photos are very difficult to find.